Check out other pictures I took at the show here. Thanks you, Marion, for your kind comments. What a thrill to know I am reaching someone from across the world. Congratulations on your award, very much deserved!! 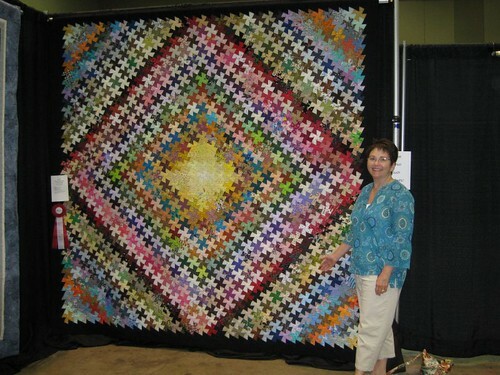 and, having seen your prize winning quilt in person, I can tell everyone, the picture doesn’t begin to do it justice…thanks for sharing the other pictures from the show.